THESE VIOLENT DELIGHTS: The death of the box-office turkey — or, why are there so many bad movies out there, Mommy? The death of the box-office turkey — or, why are there so many bad movies out there, Mommy? I guess that makes the L.A.Times an industry newspaper, but I find that sentiment anathema: I love it when bad movies fail, and not just because I am a Big Blue Meanie. It doesn't happen nearly enough. Few developments in Hollywoood have been more chilling than the near disappearance of the box-office flop. The Golden Compass? It made $372 million. Godzilla? $243 million. Waterworld? It made $264 million. Last Action Hero? $137 million. Hollywood's flops these days tend to be resolutely unheroic, anonymous specimens. Anyone remember, let alone see, The Alamo, Speed Racer, Stealth, The Majestic? Maybe only Gigli and Battlefield Earth have anything like the negative charisma, the true inverted stature, of a bona fide turkey, and no studio has had its existence threatened by a flop, Heaven's-Gate-fashion since, well, Heaven's Gate. It's one of the reasons there are so many bad movies out there: Hollywood's one vital pipeline of reliable information about what movies we like has been corrupted. In the old days it was simple: it was the movies the most people went to see in the theatre. That was the way we voted. That was the way we got our voices heard. These days, our vote is fragmented, our approval atomised. Not all approval registers are equal: the effort required to go the cinema and shell out money for a movie ticket is incrementally greater than the effort required not to turn off that movie when it comes on TV. But 'not turning off the movie when it comes on TV', when multiplied a millionfold, and repeated in enough countries, adds up to a healthy revenue source to make money back from even the lowest dreck. 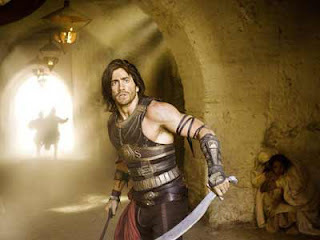 To take this year's "disappointment": Prince of Persia may have been a dud at the American box office, but by the time it's completed it's lap of the globe, sold to cable, released on DVD, turned back into a videogame, and been otherwise synergised up the kazoo, it will almost certainly make a profit. (Persia is already doing just fine overseas, thank you very much). Think about that. In the old days, it would have sunk without trace. Modern Hollywood has managed to almost eliminate a certain strata of failure. And the result? A dimming of the top register of success. It pays to muddle about in the middle. A world in which movies like Prince of Persia make money lacks the economic and creative spur for filmmakers to makes movies that are any better than Prince of Persia. Nobody makes bad movies deliberately; they make bad movies because their information about what the audience wants is bad. And that information has never been as bad as it is right now. I've written about this before, and I agree wholeheartedly. The last major flop that I can recall is "Babe: Pig in the City," which certainly had its flaws but also spellbinding moments of greatness. (Naturally, George Miller began slumming with animated penguins and regained his box office mojo.) I even agree with the critic who wrote: "'Gigli' is hardly a crime against humanity...it is merely bad." There are movies far, far worse out there whose makers get off completely unashamed. That's unfortunate for cinema, and unfortunate for us.